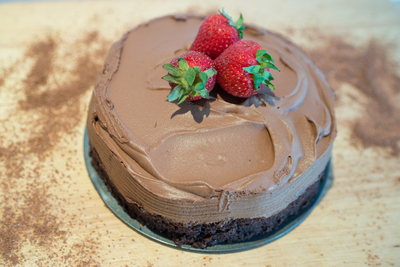 Whether gluten intolerant or not, this cake will please your tastebuds. 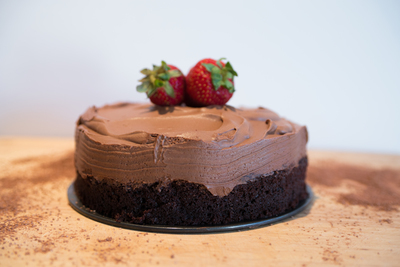 Beautiful, rich, moist chocolate cake layered with a light, creamy chocolate mousse. It is simply delicious and no one could guess it was gluten-free. One of my favourites so far! Preheat oven to 180 C. Grease and line an 8 inch cake tin with baking paper. 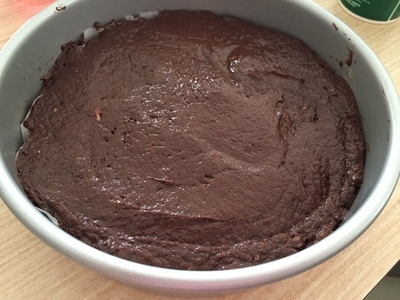 To make the cake, place the flour, xanthan gum, cocoa powder, salt, baking soda and sugar in a large bowl. Mix to combine. Create a well in the centre of the dry ingredients and add sour cream, vegetable oil, eggs and water, mixing well after each addition. The batter will be thick. Pour the batter into the cake tin and smooth out. Bake for 30 minutes or until skewer comes out mostly clean (can have few crumbs attached). Leave the cake to cool in tin while you prepare mousse. 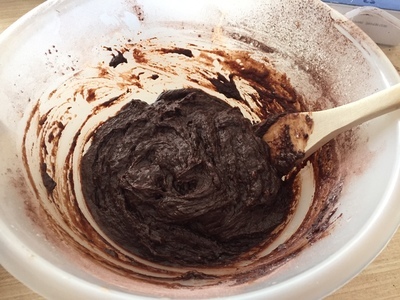 Whisk the cocoa powder and water in a bowl until dissolved. Set aside. Melt the butter and chocolate in microwave in 30 second bursts until melted (alternatively you can use a double-boiler over a low heat). Set aside to cool. In a mixer, whip the cream until stiff peaks form. Add icing sugar gradually and beat until thick and glossy. Add the cocoa mixture to the chocolate mixture. Gently fold the chocolate mixture in to the whipped cream until all combined. To assemble the cake you will need a reasonably high spring-form tin. Place the chocolate cake in the tin. 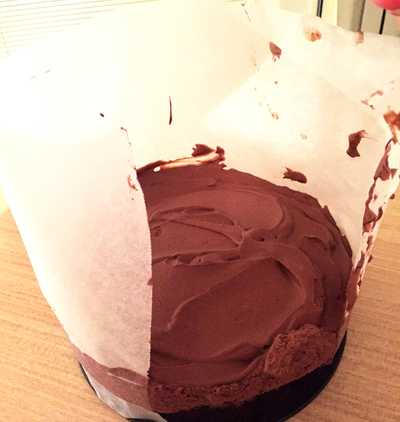 Using either a cake collar or tin foil/baking paper that has been greased, make a circle around the cake.Tighten the tin around the cake to hold it in place. You may need to trim the edges of the cake to get the space for the collar/tin foil/baking paper. 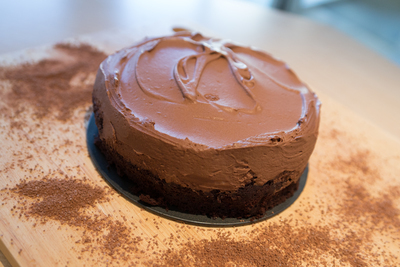 Pour the mousse over the cake and smooth out. Put the cake in the fridge for at least 2 hours to set or until you are ready to serve. Garnish with a few strawberries or fruit of choice. Best served cold. Enjoy!